This page details which Max material types are supported by the Cycles for Max plugin. This plugin fully supports the Multi/Sub-Object material. Max's Physical Material is partially supported by this plugin. Cycles for Max uses an approximation of the Physical Material and does not support all Physical Material parameters. Options that are crossed out in the below image are not supported. 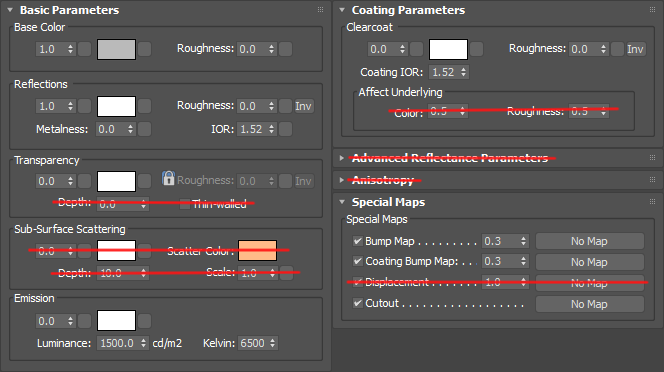 All materials not listed on this page are incompatible with Cycles for Max.